iOS 9 adoption is putting Android to shame. Of course. Apple has just released its second beta for iOS 9, coinciding with the release of Apple’s latest developer figures for iOS 9 adoption — showing that the company’s latest mobile OS can now be found on 2 out of every 3 compatible iPhones and iPads. In addition to 66 percent of users now upgraded to iOS 9, 30 percent are using iOS 8, while the remaining 9 percent are still on an earlier version of the operating system. The figures were gathered based on visits to the App Store on November 2. 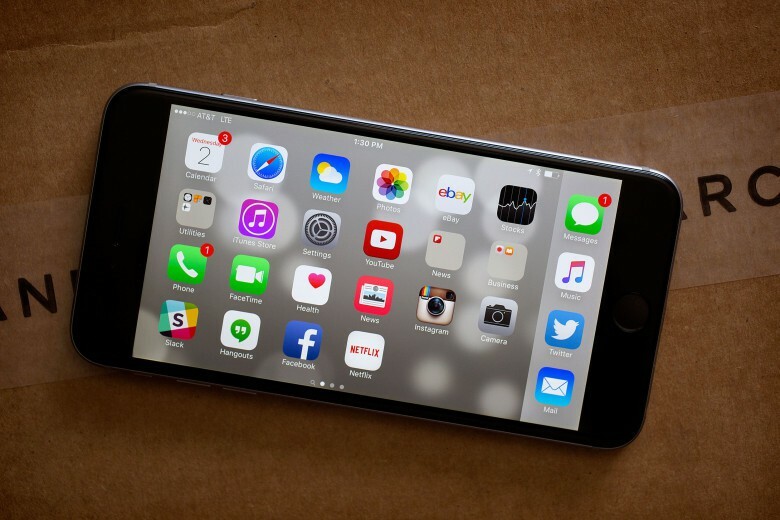 Last time Apple published its figures, in late October, adoption was standing at 60 percent for iOS 9. 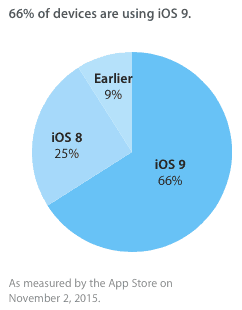 The 6 percent rise in two weeks means that, right now, iOS 9 is getting approximately 0.43 percent more users each day. Should current adoption levels hold out, this means that iOS 9 would hypothetically hit 100 percent adoption around 20 January. Although it’s not an entirely fair comparison, it’s worth noting how much these numbers shame Android’s comparable upgrades. Despite iOS 9 only being out since September, it’s closest Android rival is KitKat, which has approximately 38.9 percent user adoption — despite having been out two years longer than iOS 9. Oh, Android. Will you ever learn?